When individuals or businesses harm someone through negligent or wrongful conduct, they should be held accountable. 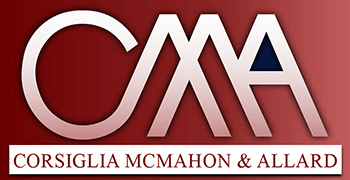 At Corsiglia McMahon & Allard, L.L.P., our experienced and respected attorneys are dedicated to obtaining justice for our clients. A vital component of getting the compensation our clients deserve is fast action. If you have lost a loved one in a wrongful death or been injured through medical malpractice or other negligent behavior, you should contact a skilled personal injury lawyer at our firm as soon as possible. You pay us nothing unless we get compensation for you. 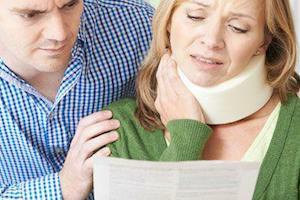 For most personal injury actions, you must file a lawsuit within two years of the accident. However, if you were hurt in a car accident, you should seek compensation as soon as possible. In some cases, however, the negligent acts that caused the injury happened well before anyone knew there was a problem. Surgical errors and other forms of medical malpractice may not be immediately apparent to the victim. Elder abuse and child abuse situations may not come to light until well after the harm was done. In every situation, it is important to speak to a knowledgeable personal injury attorney right away to protect your rights. Aside from the time limits for bringing an injury case, acting quickly can benefit you in several ways. Witness accounts, medical reports and other evidence of the incident are easier to gather and preserve if the accident happened recently. We know how to present personal injury cases to demonstrate why you deserve full and fair compensation. Our extensive trial experience allows us to be aggressive in helping our clients get the justice they deserve. There is no benefit in waiting to speak to a lawyer. From the moment you or your loved one is hurt, the clock is running on your right to seek compensation. To discuss your case in a free initial consultation, call (408) 289-1417 or contact us online.